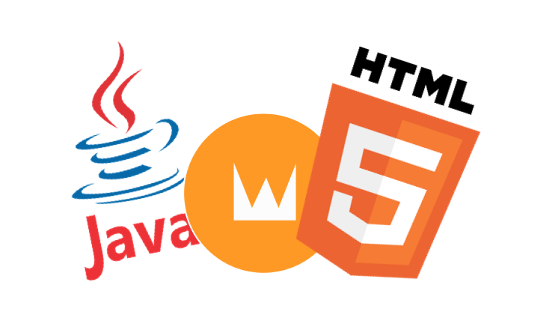 The Apache Wicket project announces the 8th major release of the open source Java web framework servicing websites and applications across the globe for over a decade. With this release Wicket embraces Java 8 idioms fully, allowing the use of lambda expressions in all the right places. With Wicket 8 you can write fewer, faster and more maintainable code. While previous versions of Wicket work well with Java 8 and beyond, the Wicket API was not optimized to make full use of Java 8 idioms. After careful consideration and trying many paths to adopt new ways of combining Java 8 and Wicket, we finally settled on the current API. Java 8’s new idioms and types have been applied throughout Wicket’s API. Learn more about the details below. Starting with Wicket 8 the minimum required version of Java is Java 8. All Wicket supplied projects have been upgraded to Java 8 and Wicket 8, and shortly all active community projects, such as Wicket Stuff, will follow suit. With the adoption of Java 8 we were able to provide support for Lambdas. As of Wicket 8 we only support the Java Servlet API 3.1 (or newer). This means that to run applications built using Wicket 8 you have to run your application in a modern server like Tomcat 8.x, Jetty 9.1+ or a Java EE 7 compatible server. Wicket 8 provides out-of-the-box support for the new types for handling dates in Java 8. These can be converted, validated and bound to components. The major feature of Java 8 was the addition of lambda support in the language. With Wicket 8 we have looked at providing lambda support in the API and have weighed it against performance and memory usage considerations. In this light we have opted to continue using subclassing as the primary extension mechanism for Wicket components. Factories for lambdas have been provided for various forms of models (databinding) and behaviors (adapters for components). The new Optional type in Java 8 is intended for places in your API where things can be null. In Wicket’s case we have adopted Optional in just those places to clarify the API. For example the AjaxFallbackLink, a link that works using both with and without AJAX, now uses Optional to signify whether the link was clicked utilizing AJAX or normal request processing: the AJAX request is wrapped in an Optional. Previous versions of Wicket would provide a null value for the AJAX request. Because we have modified the API to utilize Optional, you will get compile errors when you start migrating to Wicket 8. This gives you the exact positions where these improvements have occurred and you can start working with the Optional API. Wicket uses models as the databinding method: each data-aware component can take a model implementation to retrieve and store data in. From Wicket 8 we have made the root interface IModel a functional interface. You can now use lambdas where you can use models. The new LambdaModel type in Wicket enables type safe, refactor safe databinding for components. Previously one would bind data to components using PropertyModel, using a string expression to determine the exact property to show. The string expression is something like "person.name". This is inherently difficult to refactor when you decide to change the name field into for example "lastName". With LambdaModel, this refactoring is trivial for IDEs to perform: the Java methods can easily be renamed and the IDE will find all the references. Microbenchmarks have shown that using lambda models provides much better performance than the string based PropertyModel at the cost of slightly larger memory footprint. The Wicket team has been very careful of adopting Java 8 technologies and as such you don’t have to rewrite your whole application, whilst still reaping all the benefits of Java 8. As this is a new major version we have, in accordance with semantic versioning, cleaned up many APIs and you will get compile errors when you migrate from previous Wicket versions. Please consult this migration guide when you are moving towards Wicket 8. It is very easy to get started with Wicket: use our quick-start wizard or use one of the options below. Invented in 2004, Wicket is one of the few survivors of the Java serverside web framework wars of the mid 2000's. Wicket is an open source, component oriented, serverside, Java web application framework. With a history of over a decade, it is still going strong and has a solid future ahead. 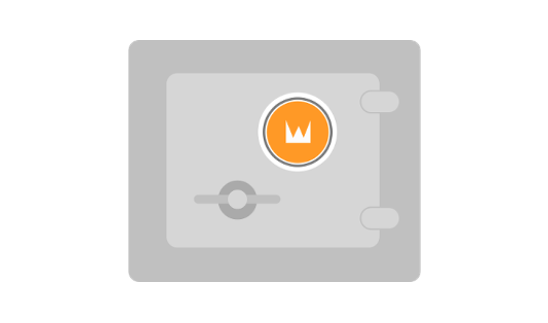 Learn why you should consider Wicket for your next web application. 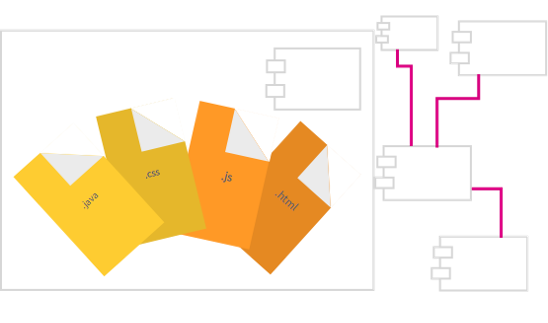 Leverage what you know about Java or your favourite HTML editor to write Wicket applications. With pure Java code and HTML markup Wicket is the go-to web framework for purists. URLs do not expose sensitive information and all component paths are session-relative. Wicket keeps your model private except those parts you explicitly expose. Since its inception in 2004 Wicket has been an open source project and remains available under one of the most permissive licenses: the Apache Software License. With support of over 25 languages out-of-the-box, Wicket let's you get started in your own language, or a second language with no effort. You can provide alternative languages on the application, page, or even component level. No more pain while keeping taps on multiple tabs and windows. Wicket's automatic state storage ensures that your users can open pages in new tabs and windows without causing problems. With WicketTester you can achieve testing coverage your QA department can only dream of. Test your pages without having to run inside a browser, or start a container. Test your components directly, check their rendered markup tags, attributes and contents with ease. Inject your services into your pages and components with the technology of your choosing: Wicket provides integration with CDI (JSR-305), Spring and Guice. If you are using the Web profile of JavaEE 6 or newer, you can leverage JPA, EJBs, Bean Validation and CDI with Wicket's integrations for these specifications. Many projects use Wicket but are not known for it. Below you find a list of projects that are Powered by Wicket. This list is generated from our Tumblr feed 'Built with Wicket'. You can submit your own project to this list through this form. Get the latest updates to releases, security bulletins, community news and more. The Apache Wicket PMC is proud to announce Apache Wicket 9.0.0-M1! This release marks the first milestone of the major release of Wicket 9. Since Wicket 9 is still in development, backward api compatibility between milestone release is not guaranteed. We will continue to use semantic versioning when we will made Wicket 9 final and maintain api compatibility between minor versions of Wicket 9. The new milestone requires Java 11 as minimum version. Wicket 9 has been migrated from JUnit 4 to 5. Module junit-vintage-engine is provided as test dependency to make old tests work without migrating all the code to JUnit 5. The internal mechanism used to store page instances has been reworked and refactored to be simpler and easier to use. The Apache Wicket PMC is proud to announce Apache Wicket 7.13.0! See the archives for all news articles concerning release, security and community updates. Note that you can subscribe to our RSS feed to get updates in your favorite RSS reader the moment they happen.